We are leading manufacturer, wholesaler and exporter of Stainless Steel Springs. Our Stainless Steel Extension Springs are available in various shapes and sizes. These are made in variety of extensions as per customers applications .These are available in both conical and rectangular shape. Extension springs offer resistance to pulling force. Our extension springs find their applications in electrical components like switches and also in vacuum cleaner brush height control. Our comprehensive range of Stainless Steel Torsion Spring is manufactured using premium grade of raw material. Torsion springs are stressed in shear to affect energy transfer and this enables to effect the actuation of the energy stored. 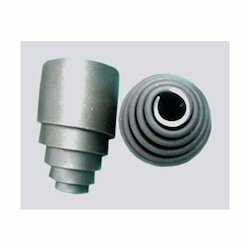 We offer torsion springs in various shapes and sizes as per client requirement. The torsion springs we offer find their applications in automobile, textile and many other industries. We manufacture, wholesaler and exporter precision-engineered Spring Steel Components with the help of dyes. Optimum quality of raw material used in the manufacturing process enables the components to exhibit essential properties such as anti-corrosion, tensile strength and high-pressure resistance. 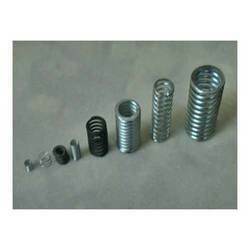 Our spring steel components are available in different sizes as per the client specifications and machine requirement where it is going to be used. It is manufacturing in brass, phosphorus bronze , stainless steel material. Looking for Stainless Steel Springs ?